Weakened form of polio from childhood immunizations lived on in subject’s gut, mutating into a strain which could cause paralysis in the unvaccinated. A British man with an immune deficiency has been shedding a highly virulent, mutant strain of polio virus for nearly 30 years as a result of childhood vaccinations. 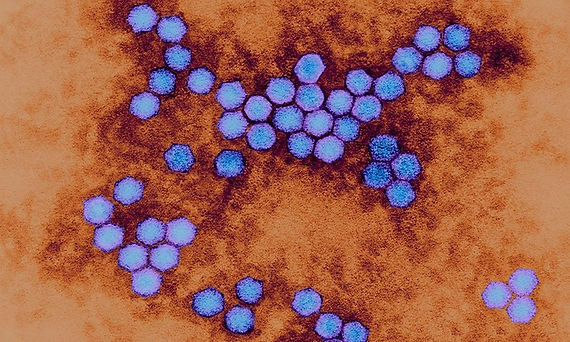 The discovery has prompted scientists to warn of other patients who could unwittingly trigger fresh outbreaks of the disease in regions where people are not sufficiently protected against the illness. Researchers analysed more than 100 stool samples from the man and found mutated versions of the polio virus capable of causing paralysis. They believe he has been shedding the mutated strain for 28 years. Next Next post: Polio, Smoke and Mirrors – Suzanne Humphries, M.D.